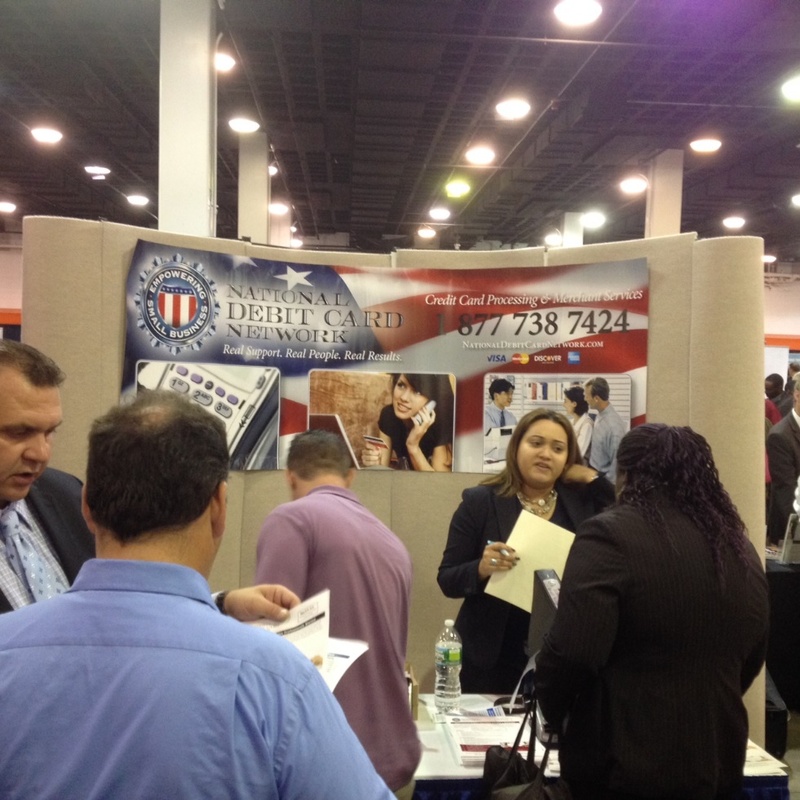 October 8, 2014 (Melville, NY) National Debit Card Network, leaders in credit card processing and related merchant services, exhibited at Nassau County Executive Ed Mangano’s Private Sector Mega Job Fair yesterday at the Nassau Coliseum. Last week we brought up the topic of how mobile payments aren’t the only answer for a merchant, and how small business owners need to use more than just mobile payments to help their businesses grow. Mobile payments though, can be used as a tool for helping a business keep up with their customers, and there’s no better example of this than during the holiday season. First, when discussing mobile payments and the holiday season, it needs to be broken down into two parts. There are mobile payments which are literally payments made on a mobile device. And then there is the term mobile payments, which is the ability to take payments on your mobile device. The first example of mobile payments (purchasing items online via a mobile device) has been up this holiday season, with the recent Cyber Monday being the biggest online shopping day in history (via iso and agent). What this means for merchants, is that people are buying things online from their smartphones and tablets. Business owners who still don’t have an online shopping cart setup for their website are potentially missing out on major profit during the holiday season. The second example of mobile payments(taking payments on your smart device using a mobile swiper) also grows during the holiday season. When stores become busy during Christmas time, mobile swipers play a key role in helping make sure customers don’t have to wait on a line, and can get out of the door quicker. When working with a normal terminal and cash register, a mobile swiper on a smart phone can be used as an alternative as customers shop around, and can help make the wait times for a store lessen during this busy season. This is where a mobile swiper and the ability to accept mobile payment’s on it becomes important. As a merchant, you might not need a second terminal throughout the year, but instead simply need one for the busy seasons. A mobile swiper fills that role. Mobile payments in general are on the rise during the holiday season, and as a business owner you need to make sure you’re not missing out on this profit. Let’s face it, basically every company offers some type of customer support. Whether it’s through a website or at a retail store’s customer service desk, support for your problems and answers to your questions can be found almost everywhere. The same is true for your merchant service needs. Take Squareup for example. While Squareup is considered a great product by many, their only customer support comes in the form of Twitter and email. There is no number to call to speak to a live person, and merchants often have to wait hours or even days to find the answer to their questions, or help when they have a problem. A search for @Square tweets on Twitter will bring up plenty of frustrated customers who wish there was a number to call with a live person behind it. It also shows that problems and questions with Square are not a rare occurrence, and in fact occur quiet frequently. And still no refund from @SqSupport. Tomorrow will be one month since I shipped the hardware back to them. Great service, horrible support. @SqSupport No contact still from you guys, and you are refusing to refund my customer $15,000! @jack can you help us? The problems displayed by Square’s customer support emphasize how important it is for a merchant services provider to offer live help. There is no telling when a merchant will run into a problem, or when they might have a question. And when it comes to handling your money, wouldn’t you want to know right away what the issue was if there’s a problem? This is why great customer support is a huge service that only the best merchant services providers offer. It’s one thing to offer low rates, and to get a merchant to sign up. But will they be there when something comes up? 24/7/365 live support is something we have strived for at National Debit Card Network. Of course we offer competitive rates, but more importantly, we are there for merchants when they need us. NDCN plans on growing with our merchants, not simply signing them up and leaving them to figure out issues on their own. Great credit card processing isn’t just about rates, it’s also about communication. 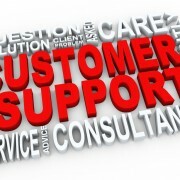 And with NDCN’s customer support, we’re always there to communicate with our merchants. Mobile swipers seem to be the rage these days among small business owners. Not only is it easy to get one, but it plugs right into your phone, and you can literally accept credit cards anywhere you go. These swipers tend to have a high rate attached to them for every swipe of a card, but because of its convenience, most people overlook this higher rate. Mobile swipers do more than simply turn your phone into a credit card machine though. They can email your customers a receipt, provide a map to show your customers where they were at the time of the purchase, and can also help you gather data on purchases your customers made. While mobile swipers are quite impressive, it’s important to still remember other merchant services as well. Not every company that offers a mobile swiper is going to offer merchant services as well. Being able to offer customers gift cards, loyalty programs, and even take a cash advance out in case you want to grow your storefront are all important tools for a business. What happens if you eventually want to open a new store, instead of remain mobile? Would you still want to use a mobile swiper that charges a high rate? Or would you look for a credit card terminal to use instead? If your business is successful, it will grow. Eventually it could outpace the mobile swiper. What do you do then if your merchant services provider isn’t really a provider at all? 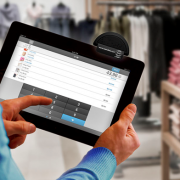 Mobile swipers are a great piece of equipment for any merchant. Just make sure that the services provider you choose can help you grow when you’re ready to go above and beyond mobile. With everything that goes into running a small business, a website might be the last concern of an owner. However, a website is an extremely useful tool, that all merchants should make for their businesses. Is a site alone enough though? Technology is constantly evolving, and as it grows, it seems like more and more people are on the go and using their mobile devices as a way to connect to the internet. This is potentially huge for a merchant that sells things online, because if you don’t have a website which is optimized for mobile device purchases, you could be missing out on big revenue. According to an article from ISOandAgent.com, a survey conducted among 1,650 small business merchants discovered that as many as two-thirds of them had websites which weren’t optimized for mobile acceptance. 49% didn’t have an upgraded site, and 17% had no idea what the current status of their site was. 82% of e-commerce small merchants didn’t know if their purchases came from a PC or mobile site. Data from those who monitored where their purchases came from however, show a steady increase in mobile e-commerce. Other mobile tools, like mobile wallets, still haven’t taken off. 93% of the merchants surveyed didn’t accept mobile wallets as a payment. Mobile wallets seem to be a wait and see issue, as merchants are seeing if the technology takes off. Lastly, mobile swipers have risen from 10% last year, to 17% this year. But even though they seem to be on the rise, merchants have said that they don’t use it to replace their current POS system. The only merchants who do solely rely on mobile swipers have less than 10 employees and generally make less than $50,000 in annual sales. Mobile swipers if anything, and a compliment to POS systems, and help give merchants even more tools. Small Business merchants should pay close attention to the mobile scene. 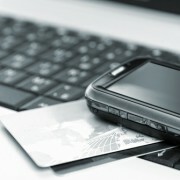 If you currently own a e-commerce business, make sure your mobile site can accept credit cards. Mobile wallets seem to be something to wait on, but mobile swipers are on the rise and might be worth investing in. Overall, mobile processing is moving forward, so make sure you don’t get left behind. Here at National Debit Card Network, we understand how important it is for our merchants to make sure they’re avoiding credit card fraud when handling purchases. 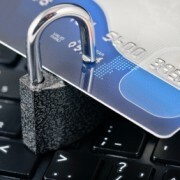 In this two part blog series, our own Rich Placa, Manager of Underwriting and Risk Management, offers merchants tips to help avoid credit card fraud. Verify address and CVV code – Verifying the address and CVV code provides the confidence that the credit card is in the possession of the cardholder you’re dealing with and a positive address match should mean that you are shipping the product to an address recognized by the issuing bank. Be wary of suspicious International Sales – If Address verification cannot be performed and it is difficult for your merchant processor to verify the sale in question, ask yourself, does the sale make sense? Why does this individual have to buy the product from you and not someone closer geographically? Stay abreast of fraud trends/scenarios – Take the extra step if approached on a Teletypewriter (TTY) line. Unfortunately, another popular method for taking advantage of a merchant is using this device to shield one’s identity. Look for the warning signs and take the proper steps to verify the sale. Never send money to the cardholder – There should never be a reason you would need to refund money via bank or other wire service. If the cardholder even broaches this subject, walk away! Never hesitate to contact your merchant provider and request a Code 10 – A Code 10 authorization request is to be utilized if a merchant is attempting to process a credit card and suspect’s fraud or suspicious activity. This request is forwarded to the card issuing bank from the merchant processor so information can be verified before the sale is processed. Follow your instincts – Unfortunately, I have received emails and calls from hundreds of merchants who have been victimized stating that they “knew it didn’t sound right” OR “it was too good to be true” yet still completed the transaction against their better judgment. 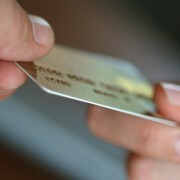 In a recent article over at Daily Finance, Dan Caplinger discussed why credit cards are still worth using. From things like better reward points, to better overall fraud protection, consumers should consider using their credit cards whenever possible. You can read the article in its entirety here. With the recent economic troubles consumers have been facing because of a rough economy, it might be hard to believe that consumers should use their credit cards to make purchases. Credit cards though, offer consumers better cash back rewards, and if you have the money to successfully pay them off, using a credit card over a debit card will yield better overall results for a consumer. So what does this mean for a merchant who just started a small business? Credit cards are an invaluable part of business, and will not only give your consumers more options when it comes to payment, but being able to process credit cards will give you added security. Credit cards are more secure than other means of payment, and with the benefits that come with using one, credit cards aren’t going away anytime soon. Small business who still aren’t accepting credit cards then, are missing out on a revenue that isn’t going away. If you’re a small business and still undecided about signing up for a merchant services account, now is the time to act. Don’t miss out on the secure, quick, and consumer friendly abilities being able to process a credit card offers. 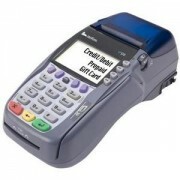 Credit card equipment can be just as important for a merchant as the rates they get from their credit card processor. So for today’s blog, lets take a look at two top of the line pieces of credit card equipment, the Vx 520 and Vx 670. The Vx 520 is a counter-top credit card processing device that handles encryption and decryption. the Vx 520 is also fast when it comes to transactions, thanks to the 400 MHz ARM 11 32-bit processor and expandable memory. As far as payments are concerned, the Vx 520 can support alternative payments such as credit card and debit, and also accepts gift cards and loyalty cards as well. It can support different connectivity options like dial-up or IP. To add to its flexibility the Vx 520 has an optional battery, that allows to to go wherever you go. The most important part of the Vx 520 though, is how it’s expected to be Verifone’s solution to EMV cards. While there is no current estimation on EMV functionality in the US, having the Vx 520 will keep merchants prepared and ready to accept EMV cards when the functionality is implemented. If you’re looking for mobility though, the Vx 670 is for you. It’s an all-in-one wireless handheld payment device. It’s small, sleek and secure. The wireless functionality makes it great for restaurants, bars, or transportation operations. Because it’s always on the move, the Vx 670 is designed to be drop and spill resistant. Staying up-to-date on the latest credit card equipment is extremely important to us at National Debit Card Network. While we don’t stock either the 520 or 670, we do reprogram them for a merchant looking to switch their credit card processor without having to swap out their existing terminals. Want to find out more about the 520 and 670? Check out Verifone’s site for more information. We all know the economy has seen better days over the recent years. And with a poor economy, it only makes sense that consumers would choose to use credit cards less, in order to avoid accumulating a debt they wouldn’t be able to pay off. 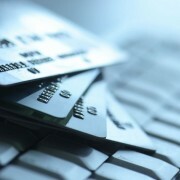 However, when it comes to credit cards, what may seem like something obvious actually isn’t. An article on The Wall Street Journal recently discussed how analysts expect upcoming earnings from major credit card companies like Visa and MasterCard to show that consumers are still using credit cards for a healthy amount of their purchases. Healthy growth is extremely important for large credit card companies because while credit card use has increased since the recession, loans haven’t grown since many consumers paid their bills off each month instead of keeping a balance. Lenders saw a loss then in the money they charge for interest. But what does all of this have to do with you and your small business? To put it bluntly, if you’ve been waiting to get a service merchant account, your missing out on a chance to make some real profit. Consumers are only going to continue to use their credit cards, and while a decrease in loans may end up affecting the credit card companies, the increase in credit card spending could essentially add to your profits. In fact, in order for loans to increase, don’t be surprised to see credit card companies try to encourage consumers to use their plastic even more. If credit card usage is increasing, don’t you want to make sure your small business is ready for it?